When Billie Holiday stepped into Columbia’s studios in November 1933, it marked the beginning of what is arguably the most remarkable and influential career in twentieth-century popular music. Her voice weathered countless shifts in public taste, and new reincarnations of her continue to arrive, most recently in the form of singers like Amy Winehouse and Adele. 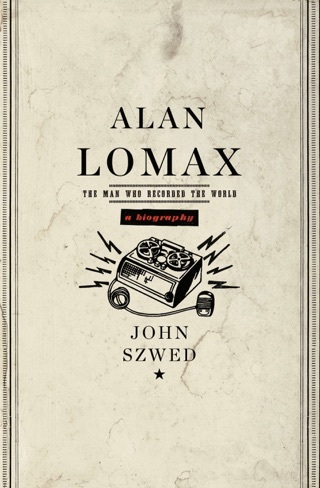 Unsatisfied with labeling Holiday "the greatest jazz singer of all time," veteran jazz biographer Szwed (Alan Lomax) attempts to deconstruct the entertainer and her vocal magic by puncturing her celebrated public image and her legendary performances. First, Szwed holds Holiday's 1956 provocative memoir, Lady Sings the Blues, to a harsh analytical light. He debunks claims that it trashed jazz and its artists and was written to support Holiday's drug habit, while disclosing the reality that the singer was broke and in tax trouble. He reveals some little-known facts, including that Holiday wanted children desperately and even tried to adopt a baby in Boston but was turned down because of her drug use. He also terms Lady Day's voice as "indelibly odd, and so easy to recognize but difficult to describe," and writes the performer had two different selves: rough, profane, caustic offstage, but witty, kind, and charming onstage. 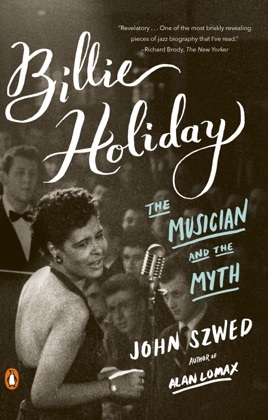 The book really takes off when Szwed gets into Holiday's peerless styling as an improviser and interpreter of torch songs and blues, including the classics "God Bless' the Child," "Don't Explain," and "My Man." Szwed provides an alternative to the gossip and scandal usually associated with Holiday with this highly entertaining, essential take on an truly American original.